Whether you are a seasoned businessman or trying to get your own start-up to take off, every entrepreneur has had to deal with issues of liquidity every now and then. Matters become even worse when this lack of fresh cash is in large part due to outstanding invoices from clients. 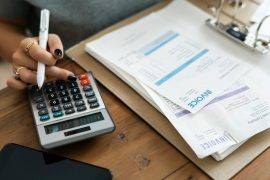 Invoice factoring is one way to deal with this type of situation and keep your cash flow intact – but there are a few tips on how to implement it properly. Businesses usually try their best to avoid unpaid invoices. You can try out quite a few strategies like giving clients that pay early a discount or even charging the ones that delay their payments a penalty. And there is always the possibility of taking your client to mediation or even initiate court proceedings if the amount they owe you is worth it. 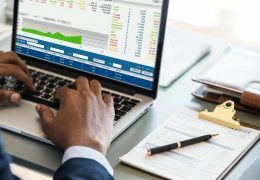 Invoice factoring stands out among the tools you can use to get your money, as it is quick, effortless and less dirty than getting lawyers involved. In essence, you are getting someone else to do the work of getting that invoice’s worth for you, and you give them a portion of the money for their efforts and the risk they undertake of potentially landing an invoice that cannot be paid. Invoice factoring is easy to understand if you review any good invoice factoring guide for successful application. The first tip is to understand the situation you are in, in order to figure out whether invoice factoring would be a good idea in your case. Factoring makes sense for companies that issue invoices with net terms. These usually take anywhere from 30 to 90 days to collect, which makes them appealing to factors. Invoice factoring also makes sense for small businesses, many of which opt for it instead of lending. 99.7% of all US businesses are small businesses with less than 100 employees, which amount to almost 29 million companies – and 82% of them fail because they experience cashflow problems. Invoice factoring makes a lot of sense as a quick solution to access extra funding if you are running a small business. What is essential in order to make invoice factoring work is to understand its specifics. When you factor an invoice, you are essentially selling it to a factoring company. This means that they buy the unpaid invoice and any further payments the client makes to you should be redirected to them immediately. Better yet, you should inform your clients of the new payment status to avoid any confusion. You may have been relieved from the responsibility and the risk of collecting payment but you have also given up your right to the amount owed. But perhaps the most important thing to understand, especially when you are desperate for some quick funding, is that with invoice factoring you will not get the full amount of the invoice paid. The factoring company will give you a percentage of the amount owed and keep the rest as fees for their services. So, before you decide to go through with it, make sure you are clear about the specific amount you are going to get and whether it is satisfactory to you. Invoice factoring is a great tool to keep in your toolbox for hard days – but just like with any financial solution, you need to be mindful of the fine print.